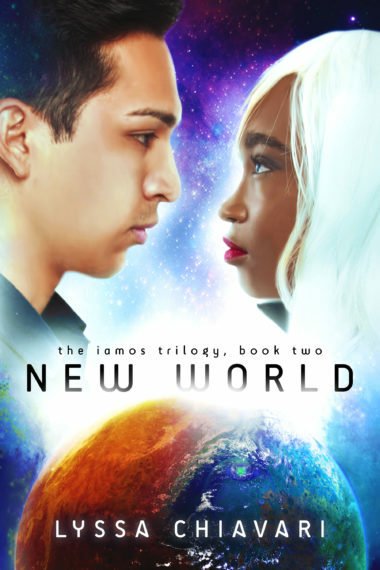 Isaak has returned from Iamos, but life hasn’t exactly gone back to normal. In what felt like a month to him, two years passed in the world he left behind—and now that he’s home, he’s not sure if he knows what home is anymore. Mars has become a world of riots and police states, with GSAF doing everything in their power to clamp down on the burgeoning rebellion started by Isaak’s once-best friend, Henry Sandhu. It doesn’t take long before he realizes that maybe coming back to Mars wasn’t such a good idea. But unless they can find a way to get to the time postern—currently guarded by heavily-armed GSAF agents—Isaak is stuck in the future… and so is Nadin. Nadin thought that the future would hold her answers, but everything changed the moment they passed through the door. All she wants now is to return to Iamos and make sure that her partner, Ceilos, is safe. But once her identity as a native Martian gets out, she finds herself caught in a political struggle she doesn’t understand, with both factions trying to win her over to their side. And when GSAF learns that Nadin holds the key to deciphering the mysterious System, they’ll stop at nothing to keep her on Mars—permanently.